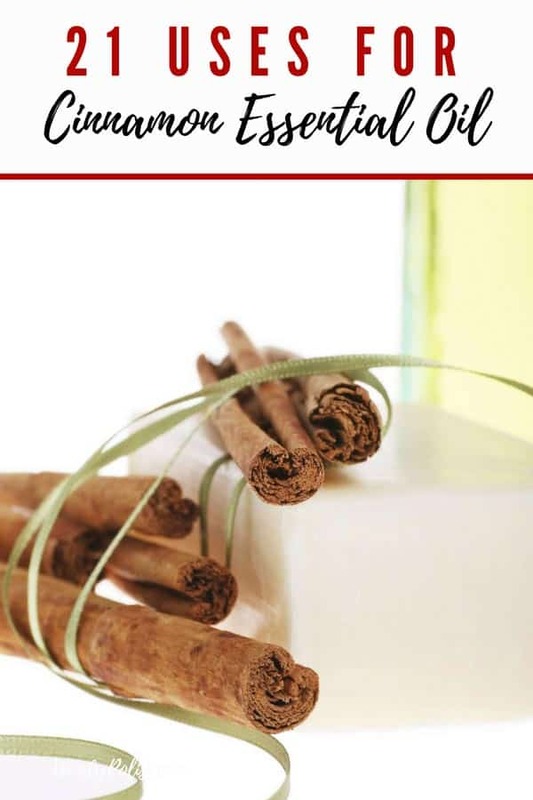 Want to learn how to use Cinnamon Essential Oil? Here are 21 great ways to use it, plus what you need to know about how to use it safely and effectively! There are so many oils I love, but cinnamon oil is one of my favorites. But the real reason that I love it so much is for all great ways that you can use it. Let’s take a look at some of my favorite ways. 2 The Quality of The Essential Oils You Use Matters! 3.1 What is Cinnamon Used For? 3.2 What are the Properties of Cinnamon Oil? 3.3 What is it Made From? 3.4 What are the Health Benefits of Cinnamon Oil? 3.5 Can Cinnamon Essential Oil Be Ingested? 3.6 What is the Proper Dilution Ratio? 3.7 What Essential Oils Mix Well It? Add a drop or two of on the feet or add to a foot bath for fungal foot infections such as athletes foot. Feeling down? Diffuse cinnamon in your home or office. It is a known antidepressant. Add a drop to potpourri in your home. Research has found that the scent can help reduce the pain and frequency of headaches, reduce drowsiness and irritability. Use cinnamon oil to prevent the flu and other illness! In 2008, French researchers showed that in concentrations of 10% or less, cinnamon oil is effective against Staphylococcus, E. coli and several antibiotic-resistant strains of bacteria. Try diffusing it in your home during cold and flu season! Do you have cold feet at night? Add a drop to hot tea just before bed. Read my full Plant Therapy Review for why they are my go-to company. The following links are affiliate links. Use to stimulate digestion. An added benefit? It has antioxidant and antibacterial properties. Having difficulty with concentration and focus? Diffuse a blend of 2 drops cinnamon, 2 drops rosemary and 5 drops lemon. Just smelling cinnamon has been shown to improve brain activity. Use cinnamon oil to stabilize blood sugar. Studies have shown that a key cinnamon oil benefit is that it can normalize blood sugar levels in type 2 diabetics by improving the ability to respond to insulin. Add to a smoothie or use in cooking. Cinnamon aids in the metabolic process by increasing the action of enzymes that break down food. Feeling achy? Add a drop to carrier oil to relax tight muscles, ease painful joints and relieve menstrual cramps. Avoid the chemical compound triclosan, which is common in antibacterial sanitizers. Instead, make your own with cinnamon oil, lemon oil, eucalyptus and rosemary combined with a carrier oil. Use it to lower your blood pressure! According to a study in the journal Nutrition, consuming cinnamon daily may help to reduce your blood pressure by up to 5 points. Exercise too hard? Cinnamon to the rescue. According to research from the International Journal of Preventative Medicine, Women who consumed cinnamon daily experienced a decrease in muscle soreness from exercise. Use to reduce period pain! Researchers from the Faculty of Nursing at Egypt’s Mansoura University found that massaging the abdomen 10 minutes a day for seven days prior to the start of menstruation helped with painful menses that were accompanied by heavy bleeding. Mix 1.5 parts cinnamon, 1.5 parts clove, 1 part lavender, and 1 part rose. Dilute with sweet almond oil at 5% dilution. Use it to treat bites and stings! Dilute 1 drop of cinnamon and one drop of lavender with a carrier oil. Use it in cooking! Cinnamon is “Generally Recognized as Safe” by the FDA. I like using a toothpick so I can control the amount easily. Low Libido? Cinnamon is said to be an aphrodisiac. Try diffusing it in your room. Add it to cleaning products to prevent mold and mildew. What is Cinnamon Used For? 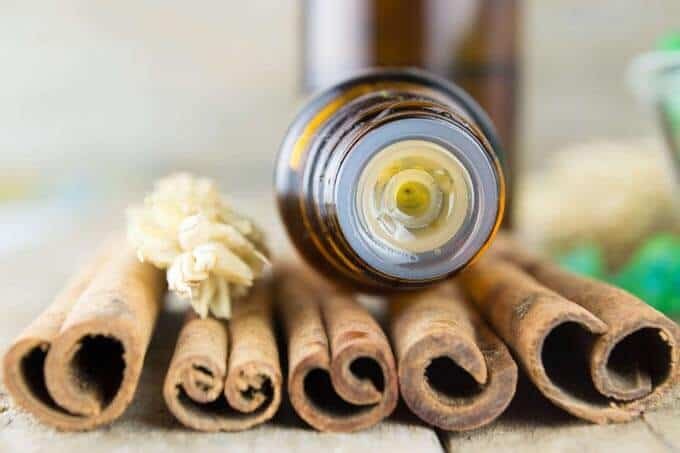 Cinnamon Essential Oil can stimulate the immune system, alleviate digestive discomfort, stimulate the libido, relieve cold and flu symptoms, decrease inflammation, increase circulation and assist with diabetes symptoms. What are the Properties of Cinnamon Oil? Cinnamon Bark l is derived from a tropical evergreen trees that grow up to 45 feet high and has fragrant leaves, flowers and bark. 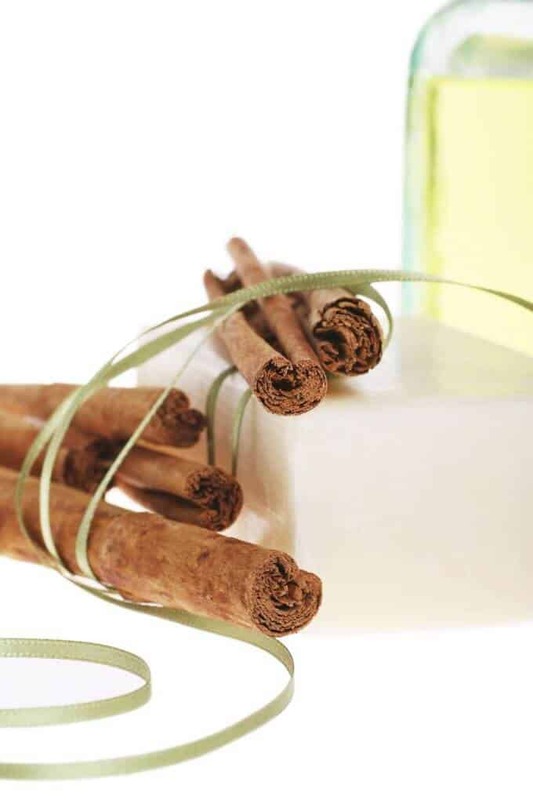 Recorded use of Cinnamon dates back to Chinese journals as early as 2700 B.C. This reddish brown spicy oil is obtained from the trees bark or leaf. What are the Health Benefits of Cinnamon Oil? It is antibacterial, anticoagulant, antidepressant, anti fungal, anti-infectious, anti-inflammatory, antimicrobial, antioxidant, anti parasitic, antiseptic, antiviral and astringent. 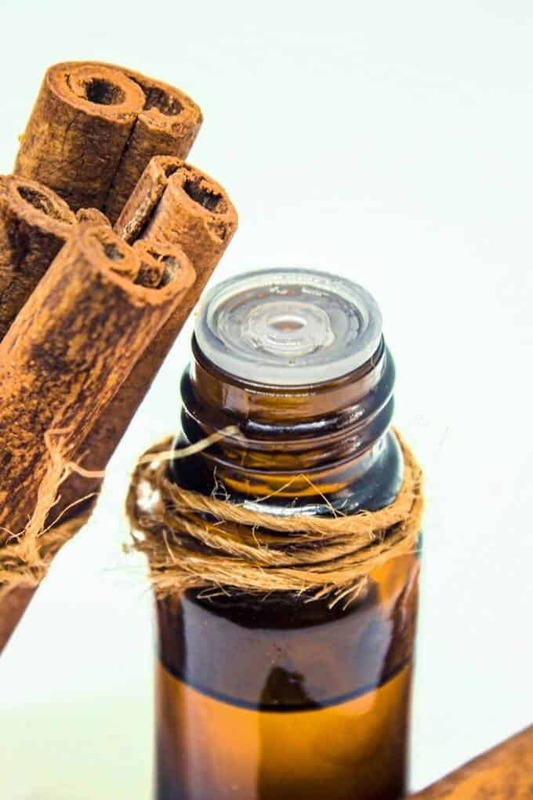 Can Cinnamon Essential Oil Be Ingested? You may use small amounts of cinnamon essential oil in cooking, but I do not recommend ingesting it therapeutic unless under the guidance of a Certified Aromatherapist. What is the Proper Dilution Ratio? For adults, it should be diluted in in 1:4 ratio of oils to carrier oil. Cinnamon is a hot oil. I do not recommend it being used on children. If you use a cinnamon mixture that is too hot, do not attempt to wash it off. Rather, add additional oil to the area. Use care as it may cause erupted nasal membranes. What Essential Oils Mix Well It? It blends well with: cardamom, carrot seed, lavender, frankincense, grapefruit, jasmine, mandarin, orange, lemon, palo Santo, rosemary, rose Otto, tangerine, tea tree and yang-yang. I’m just wondering, I bought cinnamon oil for diabetes and was looking how to use it. Your number 11 says it will help, which I knew, but what I don’t know, is how should I use it to achieve my goal? Wendy Polisi, thanks so much for the post.Really thank you! Great. I really like Cinnamon scent, I’ve diffused it for a long time, and never knew Cinnamon can reduce pain, interesting! Thank you for great post, Wendy! Hi. I read your info about cinnamon oil. Can you tell me what cinnamon you are referring to? Bark? Leaf? Or cassia? Plant therapy sells all three kinds. This is such good information! So far I have just been using it in making soaps but good to know, thanks! I have never used cinnamon essential oils, though it’s one I would love to try! I saw you have it’s good for headaches ..does it help with migraines? Would love to know if it does! I knew cinnamon had a lot of good uses, but I never imagined it had so many! Thank you for this extensive list! Wow! I didn’t know there that many uses for cinnamon! I don’t have any essential oils, but I have friends who do. I will share this with them. This is a very informative post. I am an Indian, here we used cinnamon in our spices and many things. It is very good for our health and body. I had no idea cinnamon oil had so many benefits. I can’t wait to add it to my essential oil collection so I can start reaping its benefits. I did not know it has so many uses and flu prevention is not one I would have thought of. Hello Wendy, you have collected some really delicious uses for cinnamon oil here. I especially like the idea of using it for a soothing foot soak and I never knew it was an antidepressant. What a great way to raise vibration and improve mood. Reading your blog is such a pleasure. I just love the smell of cinnamon, I have never thought about using the oil. This opens up a whole new world of possibilities for me. Thanks!